“Anger is cruel, and wrath is like a flood, but who can survive the destructiveness of jealousy?” (Proverbs 27:4). “Who is wise and understanding among you? Let him show it by his good life, by deeds done in the humility that comes from wisdom. But if you harbor bitter envy and selfish ambition in your hearts, do not boast about it or deny the truth. Such wisdom does not come down from heaven but is earthly, unspiritual, of the devil. 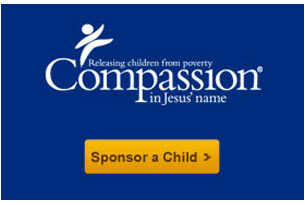 For where you have envy and selfish ambition, there you find disorder and every evil practice” (James 3:13-16). James is sending us a strong message that wisdom and understanding are not measured by degrees, but by deeds. It is not how much we know that counts, but how much we are living that matters. We can talk a great spiritual game, but if we have a jealous heart, if we harbor envy, allowing it to creep into our lives, and taking up residence, then we have no wisdom and are living a lie. 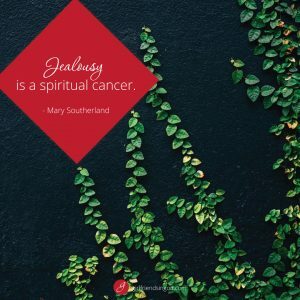 James defines jealousy as “bitter envy and selfish ambition” (James 3:14). “Bitter envy” means, “a nasty jealousy” while “selfish ambition” refers to “a contentious selfishness” or “a hostile ego.” “Selfish ambition” can also be translated as a “party spirit,” and was a term used by the Greeks to describe a dishonest politician who works the crowd, using every opportunity and every method to draw attention to himself in an effort to win votes. James is painting an ugly picture of jealousy. “You are still not spiritual. You have jealousy and arguing among you. This shows that you are not spiritual. You are acting like people of the world” (1 Corinthians 3:3). People of the world secretly cheer when their enemy fails. People of the world are driven by ego. People of the world are suspicious of everyone, trusting no one. People of the world are taught by envy and jealousy to take care of self above all others. John and Dave were hiking when they spotted a mountain lion staring at them. John froze in his tracks, but Dave sat down on a log, tore off his hiking boots, pulled a pair of running shoes from his backpack and quickly put them on. John looked at him in amazement! “You can’t outrun a mountain lion!” he said. Dave shrugged and responded, “I don’t have to! I just have to outrun you!” I am so glad that God’s people are not like that, aren’t you? Actually, Paul is writing to God’s people, warning them that jealousy is deadly to the unity of the church. Jealousy springs from a heart of insecurity and bubbles out in self-centered actions, arrogant words and divisive attitudes. We must realize that jealousy and envy are in direct opposition to the very nature of Jesus Christ and as a result, produce ungodly results in our lives. 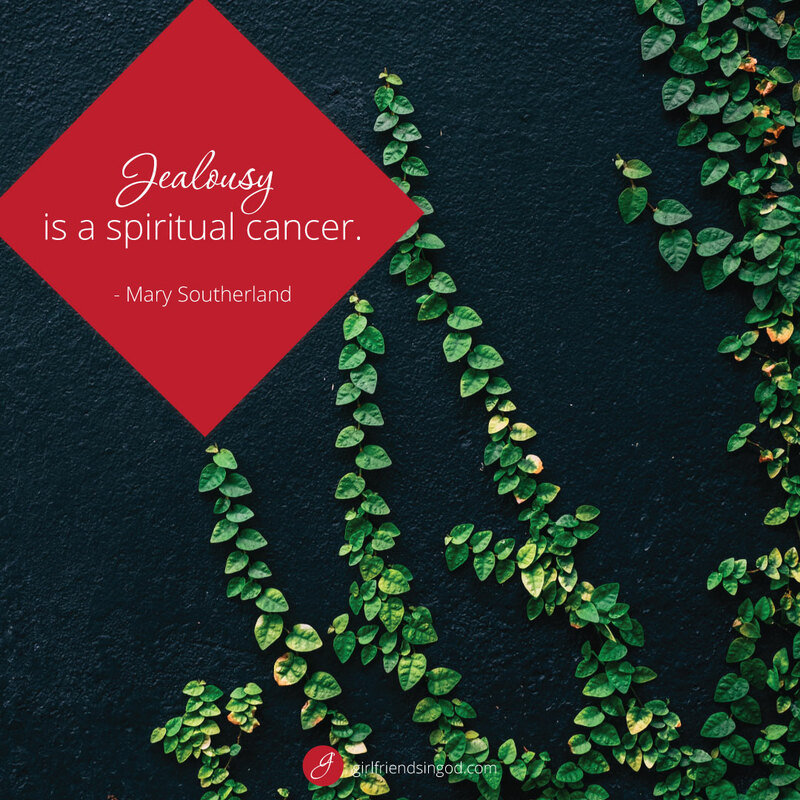 Jealousy is a spiritual cancer that will invade and destroy whatever it touches. Everything we do from the motive of jealousy is empty and does not count in Kingdom work. We need to brutally and honestly examine every heart motive and choose against anything or anyone who promotes jealousy and envy. Lord, forgive me for allowing jealousy to be present in my life. I confess it to You as sin. Please strengthen me and help me guard my heart against any kind of envy. I love You, Father. You are all I need. Teach me to walk in Your ways and fill my heart with Your love and kindness. Are any of the following characteristics or behaviors present in your life? If so, can you identify its source? What steps do you need to take in order to find victory in each area? Record your answers in your journal. 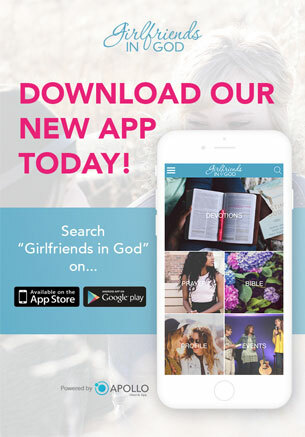 I truly enjoy the daily readings of Girlfriends in God.